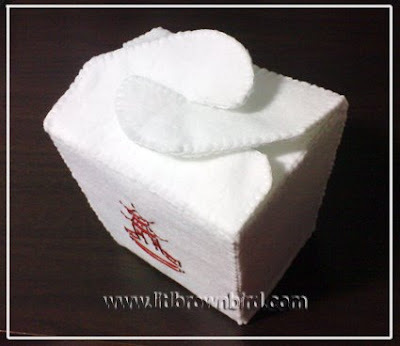 Please refer to terms of using my free felt patterns at the sidebar. 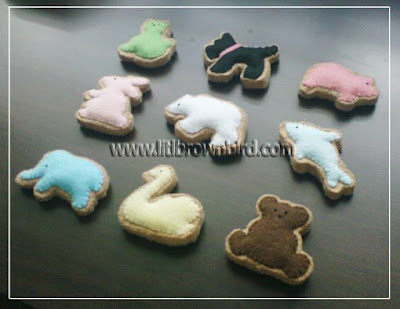 Click here for the patterns & tutorials for making your own felt animal cookies/biscuits. Please refer to terms of using my free patterns at the sidebar. Please click here for the full patterns & tutorials. Or click on link below to see the tutorials in parts. 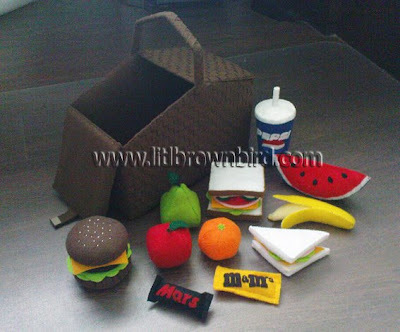 Patterns & tutorials for other felt play food shown above are available at my etsy shop. Please refer to terms & policies of using my free patterns at the sidebar. 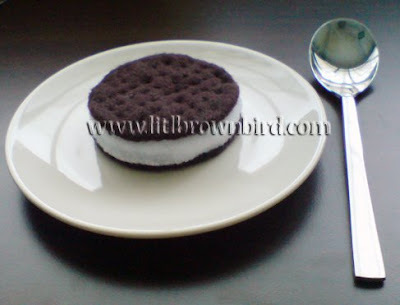 Click here for the patterns & tutorials for making your own felt Oreo Cookie Ice-Cream. 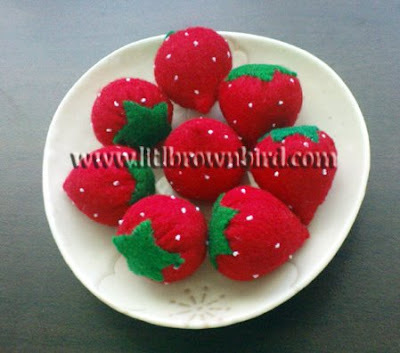 Click here for the patterns & tutorials for making your own felt strawberries. Apart from crafting, I play role of a mom most of the time.